In this section, you will learn more about Capago’s facilitative role and range of services, which are designed to make your visa application experience as pleasant and effortless a process as possible. 3. Prepare your application documentation. Under section 17 of the Community code visas: "the state or states concerned shall maintain the opportunity for all applicants to lodge applications directly from their consulates, according to their conditions". 3. 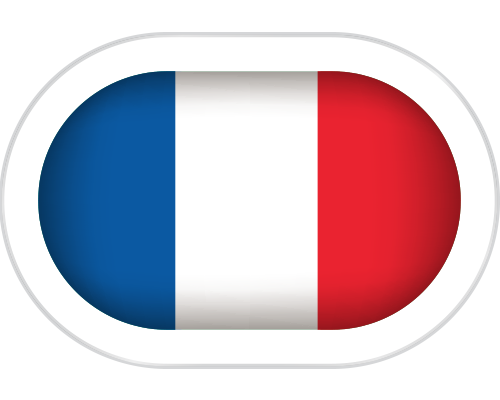 Capago will submit your application to the French Consulate for approval. Please note that the French Consulate has sole authority when it comes to approving your visa application. An incomplete application may result in denial of your visa. Therefore, please ensure that you have all documents requested in your visa checklist. We recommend that you present your documents in the same order as per the checklist. This will save you time when submitting your application to one of our agents. In addition to processing your visa application Capago offers a range of additional services which can be selected when applying. The prices of those services are not subject to the exchange rate. Cape Town : Passport delivery service at a PostNet branch nearest to you through our Postnet Partner. Please note that for safety reasons NO CASH payments are allowed on the premises. Please note that an administration fee of 2.5% will apply to all payments made to Capago International, not including EFT's. As part of the French Ministry for Europe and Foreign Affairs’ new initiative, Capago International can now offer the opportunity for residents in the Port Elizabeth area to apply for their visa to France directly from Port Elizabeth. Capago International is the external service provider for the collection of Schengen visa applications on behalf of the French Ministry for Europe and Foreign Affairs through http://france-visas.gouv.fr. We have 3 offices located in Johannesburg, Cape Town and Durban. Recently, we launched a brand new initiative in Port Elizabeth, thanks to our French Mobile Biometric Solution. Our services will be offered at Regus, 1st Floor, Harbour View Building,Oakworth Road, Humewood Port Elizabeth on the last Wednesday of every month, as of 30 May, 2018. Travelers can now have one of our dedicated Capago teams (visiting Port Elizabeth on the specific dates mentioned above) collect their applications and biometric data in Port Elizabeth. This allows travelers to avoid the logistics of a trip to a Capago center in order to submit their visa application, for a nominal fee. Once your visa has been issued by the Consulate General of France in Johannesburg, Capago International will have your passport delivered to a Postnet office of your choice. This service is optional, and the prices reflected above do not include visa processing and other service fees. Port Elizabeth applicants can still travel to Cape Town, Durban or Johannesburg to submit their applications. The official exchange rate communicated by the Consulate General of France will be applied on the date of your appointment. This can be checked on the French Finance Department Website. This service offers convenience, but will not in any way speed up your visa application process. This service does not guarantee the granting of your visa by the Consulate General in Johannesburg. Please note that every applicant is required to schedule an appointment before submitting an application. Fill in the “Visa Wizard” and create an account. You will then be given the requirements according to the type of visa you wish to apply for. Following this process you will be guided towards Capago to make an appointment in any of the 4 Capago branches. As part of the French Ministry for Europe and Foreign Affairs’ new initiative, Capago International can assist you with your visa application from the comfort of your office, thanks to the French Mobile Biometric Solution. Visit our website for more information. Capago International is the external service provider for the collection of Schengen visa application on behalf of the French Ministry for Europe and Foreign Affairs. We have 3 offices located in Johannesburg, Cape Town and Durban. Individuals, families and groups can have one of our dedicated Capago teams visit the office of your choice to collect both biometric data and your visa application itself. Once your visa has been issued by the Consulate General of France in Johannesburg, Capago International will have your passport delivered to a Postnet office of your choice. The official exchange rate communicated by the French Consulate General will be applied on the date of your appointment. This can be checked on the French Finance Department Website. All appointment locations must be within a 150km radius of Sandton, Gauteng. Appointments can only take place at schools and offices. We are not able to visit personal homes. All visa documentation must have been prepared and validated prior to the booking of this service.